In 2002, the regulation of iGaming was separated from the GCBC: for the performance of online gaming activities from the Netherlands Antilles, the required license is to be granted by the Governor of the Netherlands Antilles. The executive body to supervise and ensure the integrity and conduct of Curaçao iGaming IP operators and providers of services is Curacao iGaming that Gprovides a detailed procedure for the application of this iGaming IP-license. The government of this country imposes it as the sole responsibility from the player, to enquire about the existing gambling laws. Next to this, internet gaming websites are required to impose the age restriction, with 18 years being the minimum age in combination with the minimal age specified by the jurisdiction of the player’s place of residence. Curaçao knows only one type of license which covers all interactive games. The license is called the master license or the iGaming IP-licence and licenses the e-gaming entity itself. At the same time, this this license gives the opportunity to sub-license third parties which then are subject to the responsibility under the master license. IS THERE A DIFFERENCE BETWEEN THE GAMES FOR DIFFERENT LICENSES? All interactive games are covered: casinos, lottery, sports betting, exchange, games of skill and games of chance. Since June 2014, The Kingdom of the Netherlands is one of the 36 members of the Financial Action Task Force (FATF), whereas Curacao is a member of the Caribbean Financial Action Task Force (CFATF), which is an associate member of the FATF. As such, Curacao agreed to implement all FATF recommendations and to undergo evaluations for the purpose of assessing compliance with FATF membership criteria, for Curacao casinos. Casinos are required to take notice of these notifications, as stated on the website of the gaming commission, and, if applicable, include them in their Customer Due Diligence policies and procedures in order to remain compliant with current anti-money laundering and terrorist financing legislation, provisions and guidelines. Curacao online casinos have had a bad reputation for years in the area of customer support and player protection. It seems the government is on a mission to improve the quality of gambling. Since January 2014, gambling in Curacao is to be in compliance with the regulations imposed by CFATF and FATF. Next to that, the gaming control board for land based gambling also imposes casino’s and players to be in compliance with their new sports betting notifications and the UN-notifications which are all referred to on the gaming commission’s website. Consequently, this means that online casino operators are also required to offer a customer control standard. They are to impose an audit trail for new players and existing players concerning player registration and financial transactions. The licensing authority is also the regulating body for this trail, the CIGA. 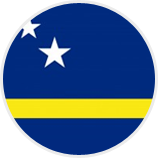 A direct consequence from certain notifications, is that people from certain countries and or territories are not allowed to undertake financial transactions with Curaçao, thus are not allowed to make a deposit to a gambling site. These notifications are to be found on the GC’s website. The Caribbean island is also a member of the International Gaming Council (ICG), which also has a code of conduct to be honoured towards players. This might sound as music for most players that will be better protected with this new era of law and order in the casino jungle in Curacao.